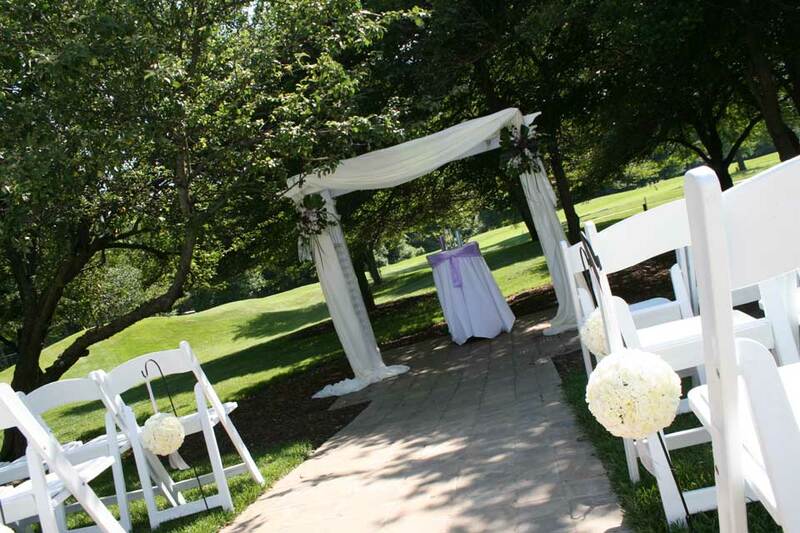 Enjoy the breathtaking view of our championship public golf course plus exclusive use of our wedding reception space. 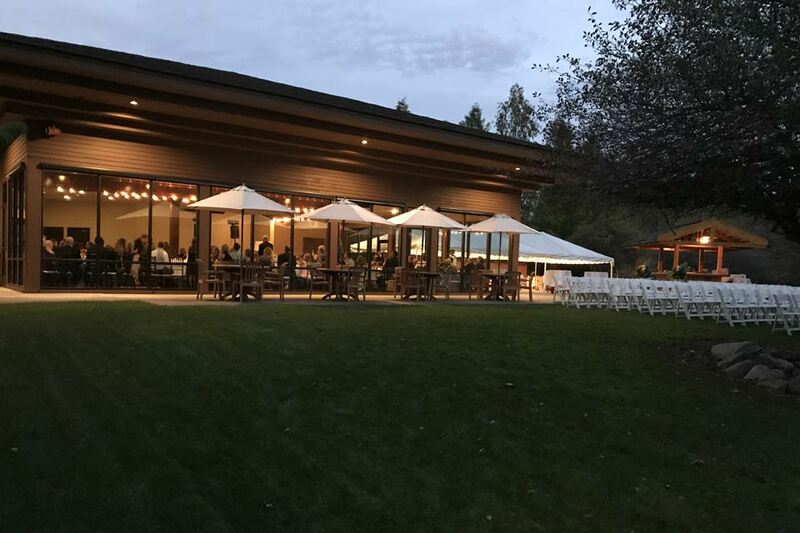 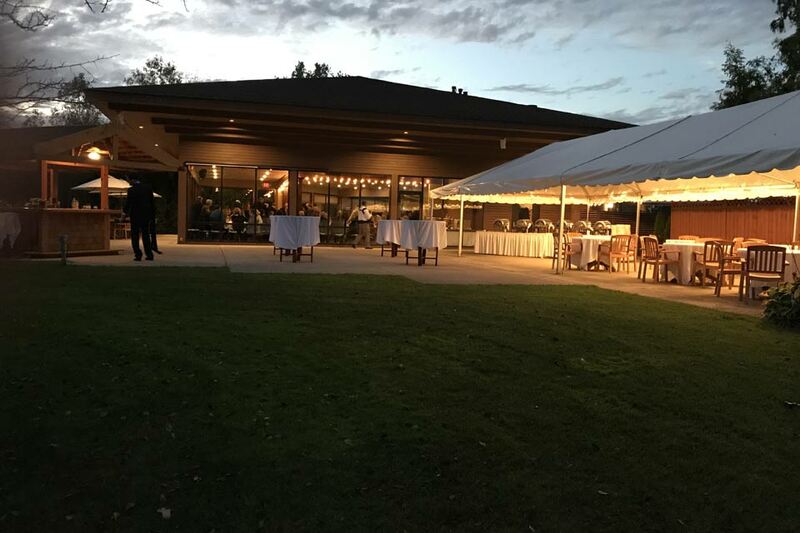 Our wedding venue in Ann Arbor includes: a private outdoor ceremony site, large patio, outdoor tent, unique outdoor tiki bar and spectacular banquet room featuring floor to ceiling windows! 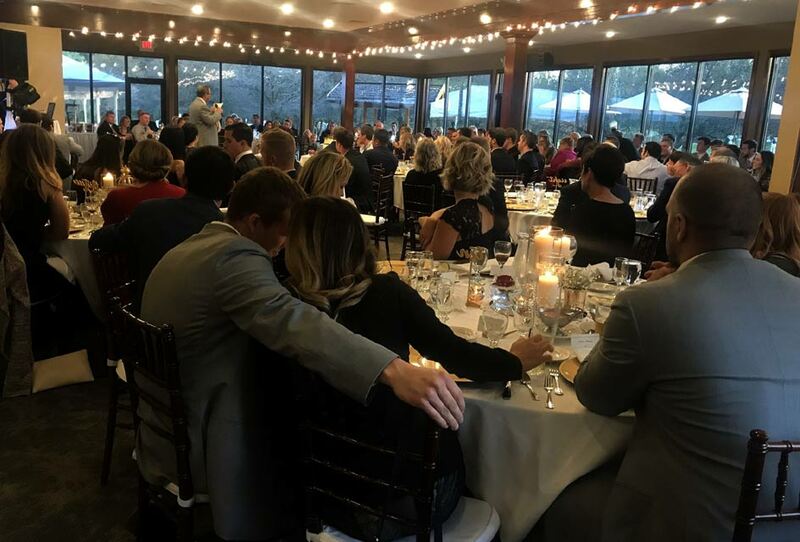 We offer exceptional cuisine & service, and strive to make every event unforgettable! 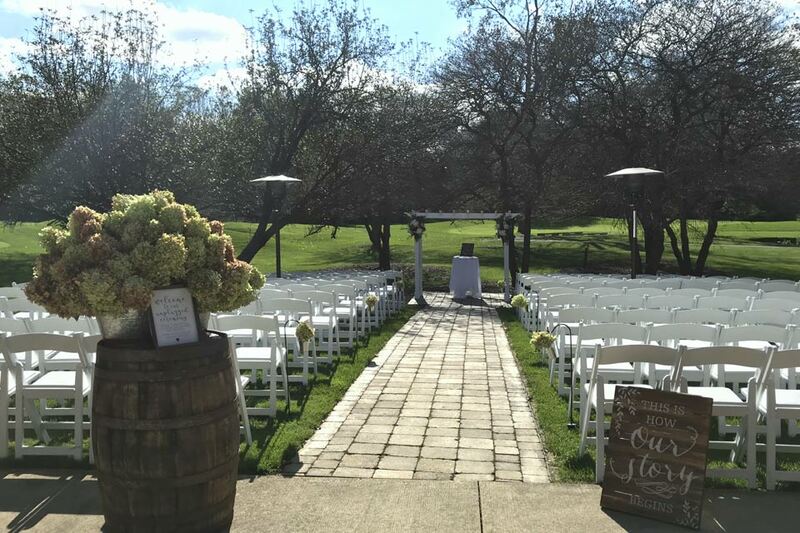 Couples love our outdoor ceremony site! 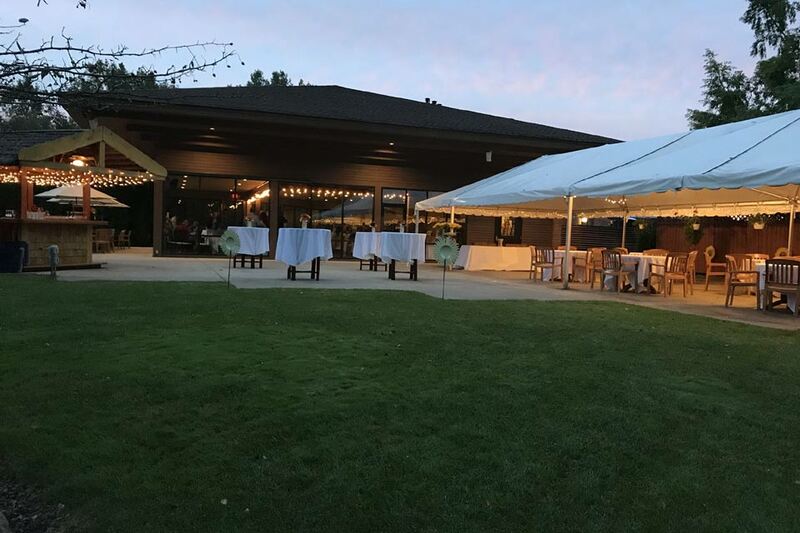 Not only do we offer a spectacular setting that overlooks our championship golf course, but we provide a backup plan so that you don’t have to worry about weather on your wedding day. 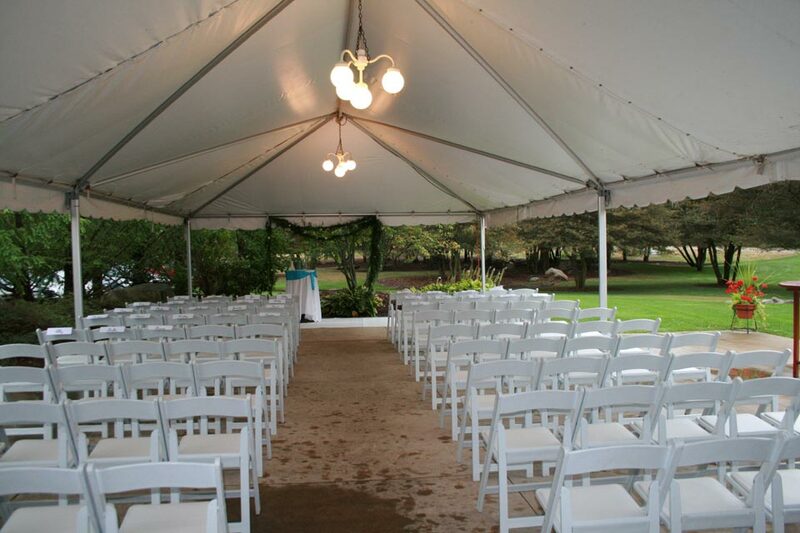 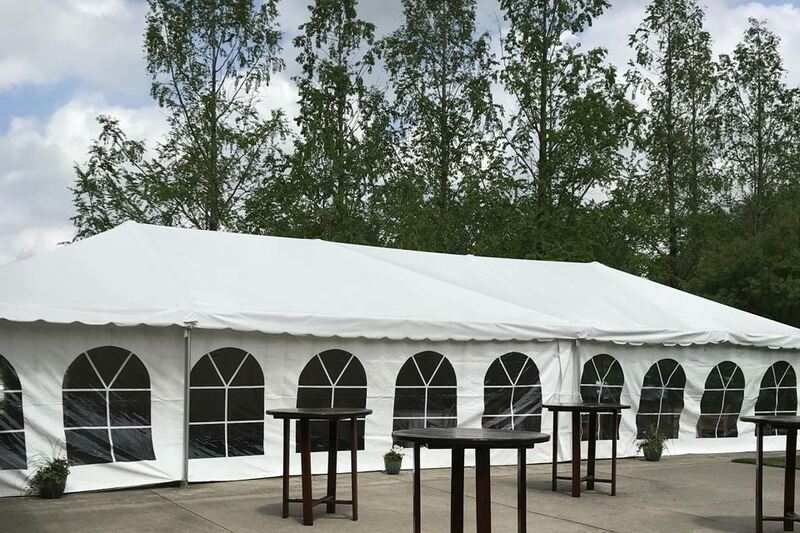 Every event that books our venue has complimentary access to our adjoining patio that features a large white tent. 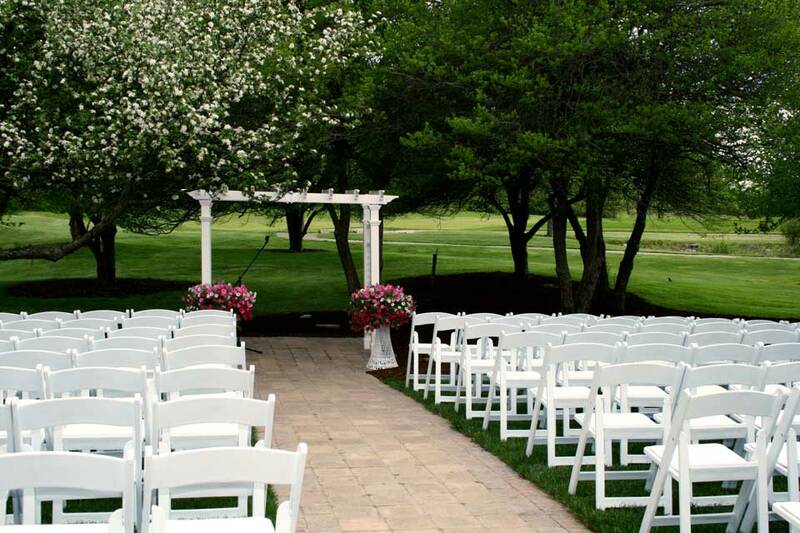 We are proud to be highly rated on both The Knot and Wedding Wire bridal networks. 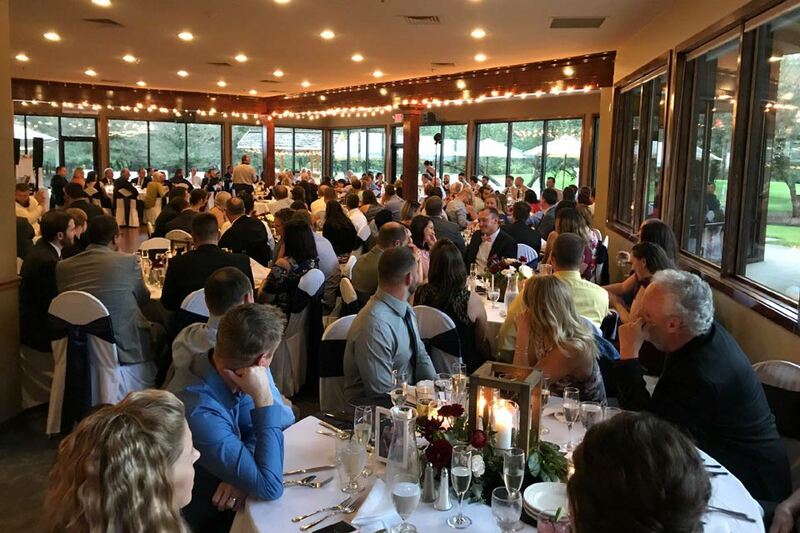 Please use the links below to read what past clients had to say about their experience at Stonebridge! 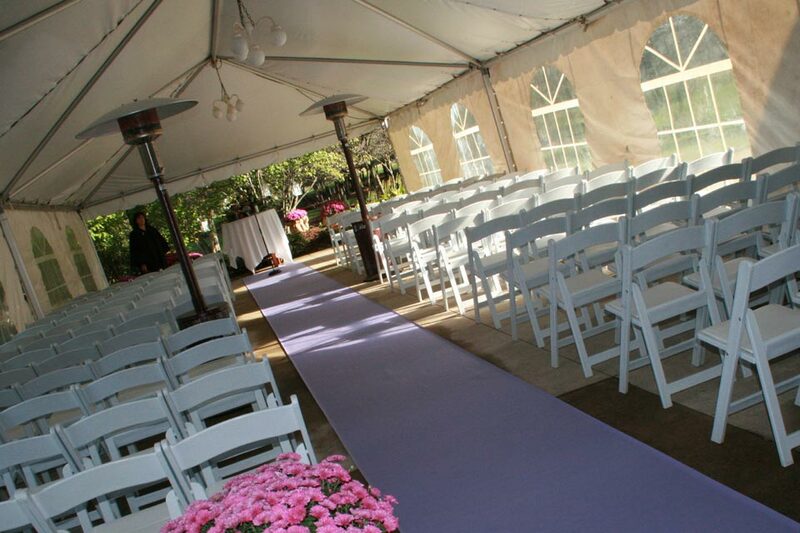 Our Ann Arbor Wedding Reception Venue was awarded “The Knot Best of Weddings” 5 years in a row! 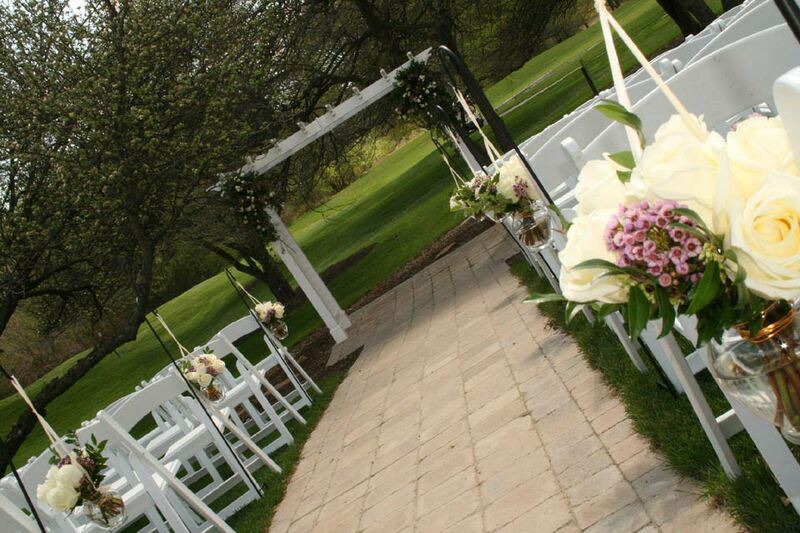 Stonebridge Golf Course Weddings have earned the Wedding Wire Couple’s Choice Award 4 years in a row! 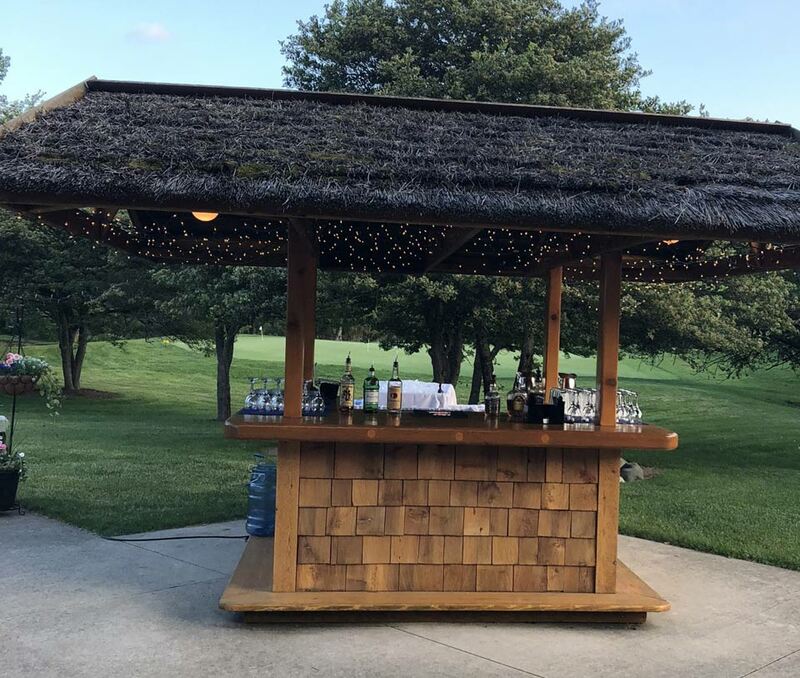 Awarded to the top 5% of wedding professionals. 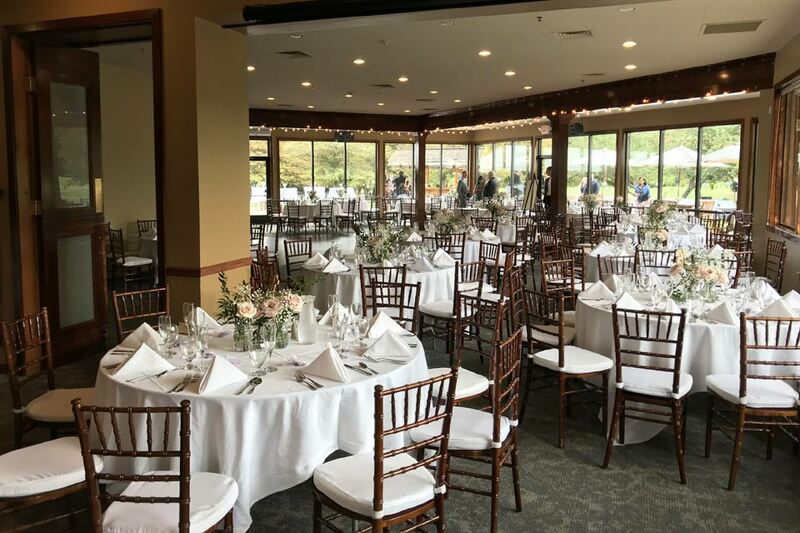 Hotel banquet halls simply don’t compare to our golf course wedding reception space. 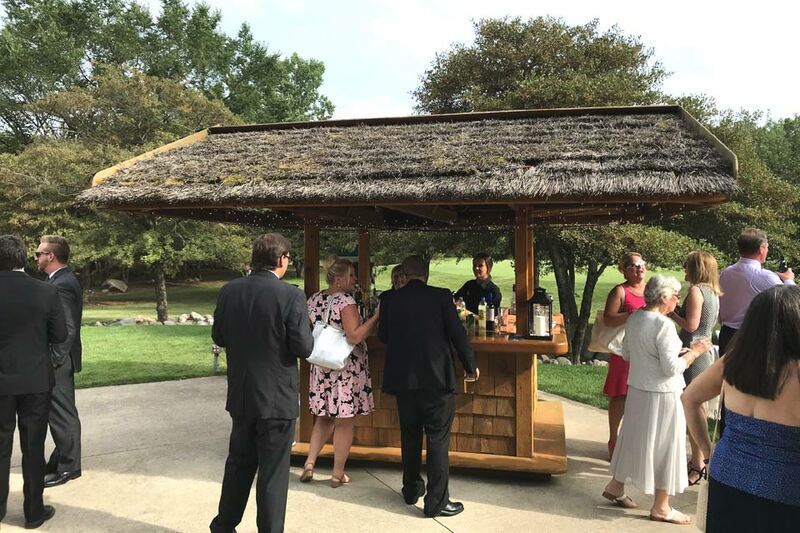 Guests enjoy the natural lighting, outdoor views and option to mix and mingle between the indoor banquet room, outdoor patio, outdoor tent and one-of-a kind outdoor Tiki Bar. 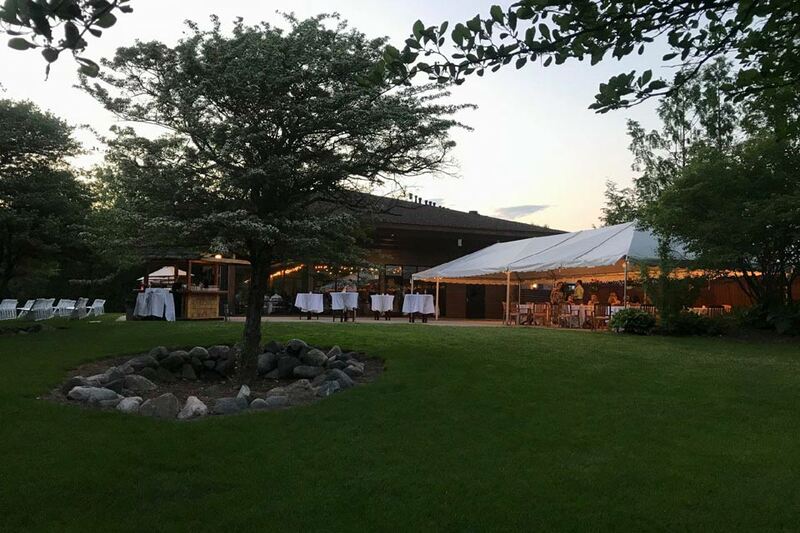 The perfect setting for your wedding reception in Michigan. 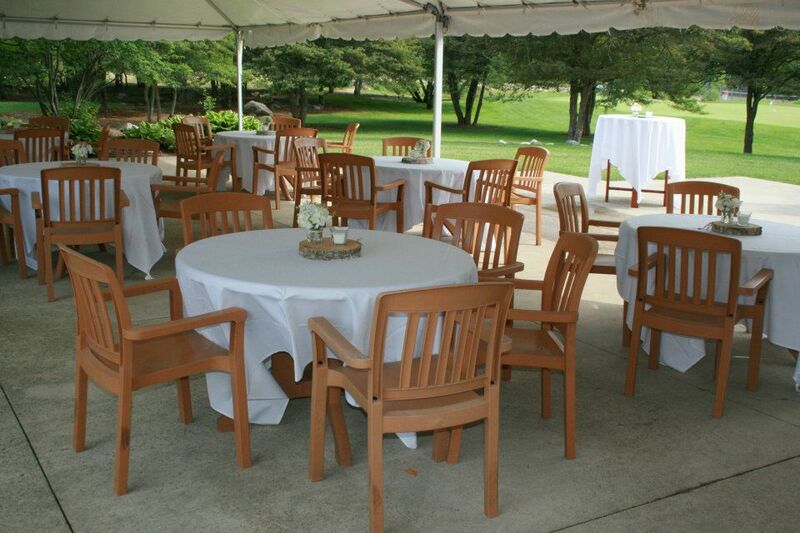 Our indoor/outdoor wedding reception site in Ann Arbor hits the mark for so many different styles. 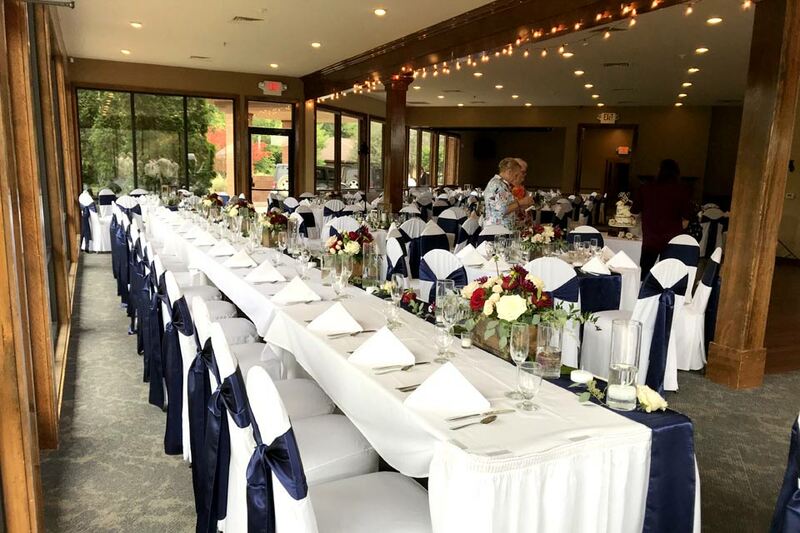 From elegant wedding receptions to casual celebrations of love. 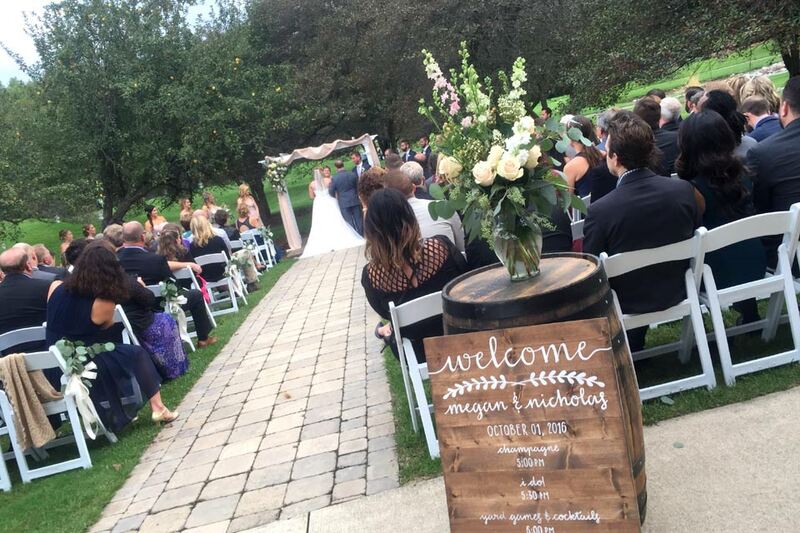 From those seeking an outdoor barn wedding reception to an indoor rustic wedding reception. 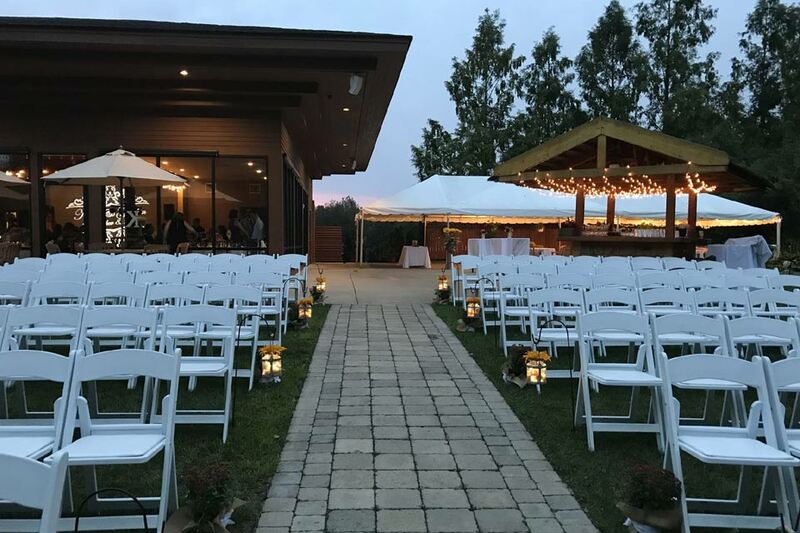 Browse our photo album to see how our venue transforms to fit so many varied wedding styles. 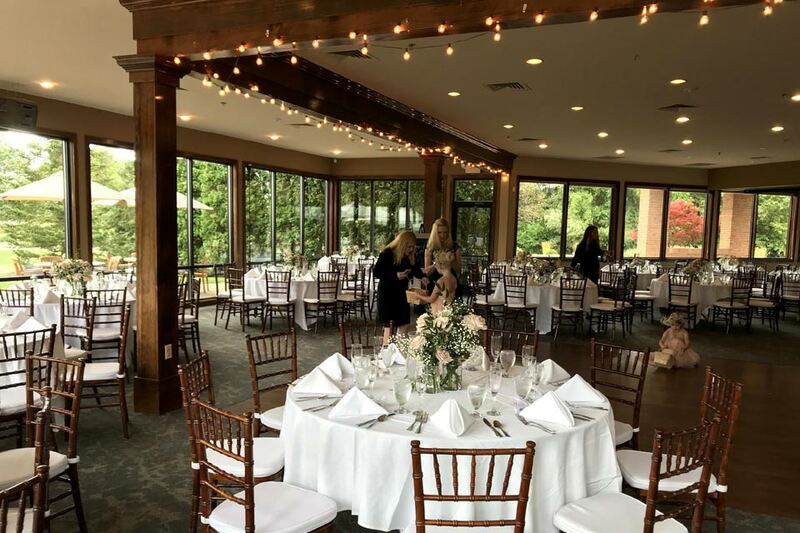 Explore Your Event Space with our 3D Tour! 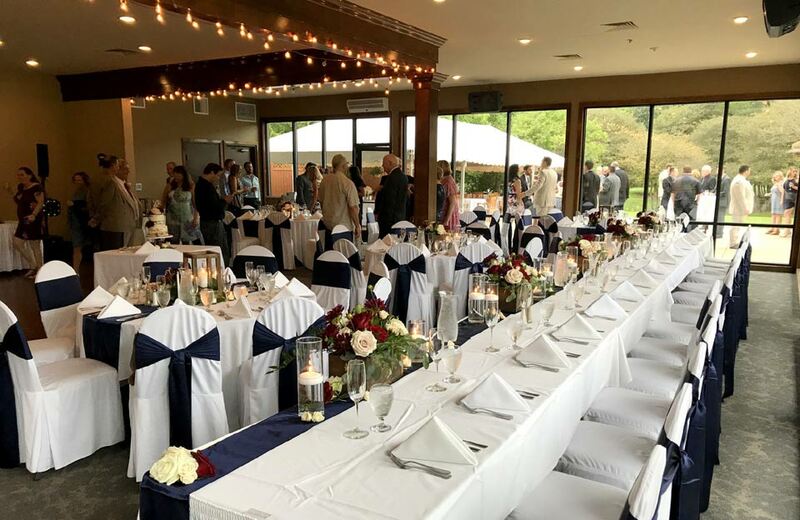 Browse some of our recent Wedding Receptions!